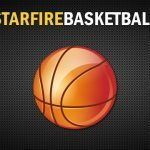 Basketball Camp SA 2017 The above link provides information for those interested in registering their 3rd-8th grade boy for Starfire basketball camp. Please note a few changes in the boys basketball schedule: Randolph Southern is on Monday, 2/13. This game was originally scheduled on Tuesday, 2/14. Churubusco is now Wednesday, 2/15. This game was postponed due to snow on Wednesday, 2/8. Parkway is on Monday, 2/20. This game was canceled due to ice on 12/17. Southern Wells defeated SA Friday in Boys Varsity Basketball by a score of 69-47. SA vs Southern Wells (click on link above for game stats) The JV defeated Southern Wells 58-46. Grant Besser had 20, Terry Dawn had 13.